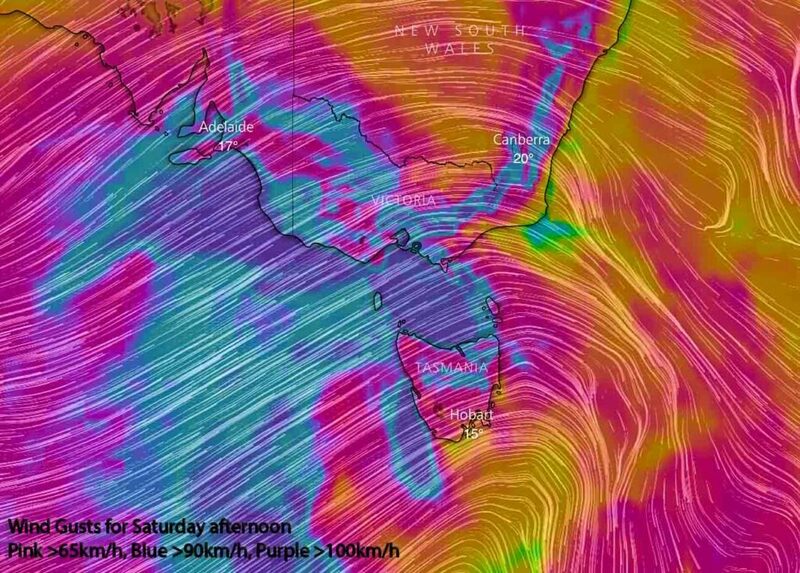 Widespread Severe Weather to sweep SE AUS this weekend! Home/News/Widespread Severe Weather to sweep SE AUS this weekend! A strong low and cold front is expected to cross the Bight bringing destructive winds to VIC and huge waves to SA! Above image via Windy showing rainfall (yellow >50mm, red >100mm). A strong low pressure system linked to a cold front is expected to cross into the Eastern Bight tomorrow (Saturday) and move towards Tasmania. This low is expected to have a very strong and deep onshore wrap which is likely to feed up over the Bight and wrap around the Northern side of the low over South Australia and Victoria. The most prominent feature of the system is going to be the widespread damaging winds across South Australia, Tasmania and virtually the entirety of Victoria. 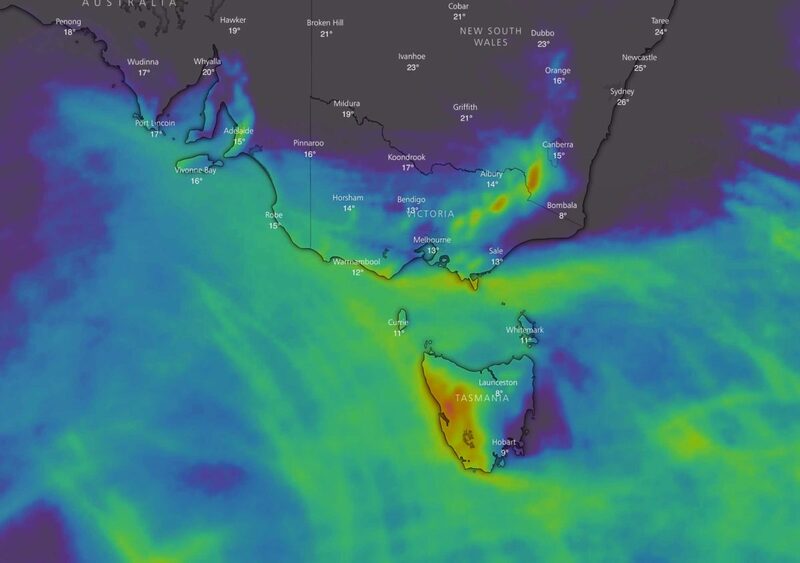 Furthermore, destructive winds of more than 125km/h are expected across the Snowy Mountains – mostly during the afternoon and overnight into Sunday. This system should also bring enhanced showers, some possible thunderstorms and hail to Victoria and Tasmania throughout the day. Any storms that do develop are likely to contain stronger (damaging) winds and small hail. Snow cant be ruled out either for the Alps, but only as flurries on the absolute peaks of the Snowys and Tasmanian Highlands. The other feature is the huge swell across the Bight! 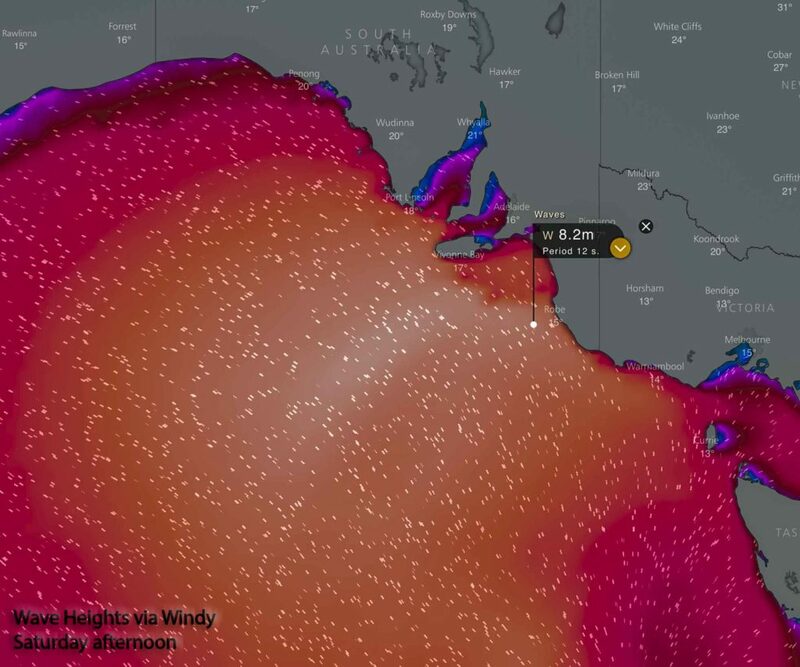 Some fairly big waves are expected for South Australia which is usually protected from the monster waves that Australia sees (unlike the South West WA Coast and Tasmania). Waves should start at 3-5m in the morning and could increase to as much as 8-10m by the afternoon. These waves should eventually also impact Bass Strait and Tasmania overnight Saturday into Sunday and then throughout Sunday as the low moves into the Tasman Sea.